Wellington Road gradually climbs up from Main Street Breckenridge through the historic district to Father Dyer church, which is the foot of the Weisshorn neighborhood and then takes a big step up to the top of the neighborhood. It’s only a few hundred yards from Briar Rose Lane, where the Weisshorn homes for sale starts and Gold Flake Terrace, where the character of neighborhood is quickly established. Old trees surround homes built on big lots, and are set back from the roads. The neighborhood has feelings of seclusion and privacy, although more than a hundred homes are built on this close-to-town hillside that extends north and south for a long block or two on either side of Wellington, and three blocks east of Gold Flake. You can start your search with the Weisshorn real estate listings below, or get more neighborhood information now. This hillside where the Weisshorn subdivision is located remained forested through the mining era and this quality was preserved when home building began - as early as 1961. A dozen homes were built as the ski resort was getting started, but within the decade there were more than 60 homes in Weisshorn, another forty were added in the 1970s and just a handful in every decade since. Less than 3 percent of the lots are undeveloped, today. The neighborhood is bisected by Wellington, which gradually ascends after the first big hill, for another mile until it joins French Creek Road. This is a historic east-west artery to the gulch’s gold fields, but most homes in Weisshorn are located on loop roads off either side and there is little drive-through traffic. 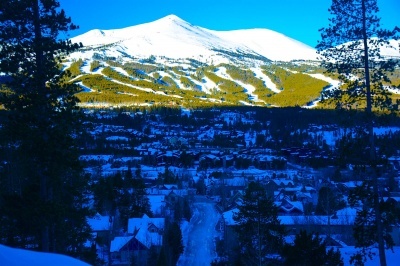 The free town shuttle serves Weisshorn homes, via Wellington Road, and connects it to the ski resort and gondola, as well as Main Street Breckenridge. Walking to town isn’t far, and there are several neighborhood paths. 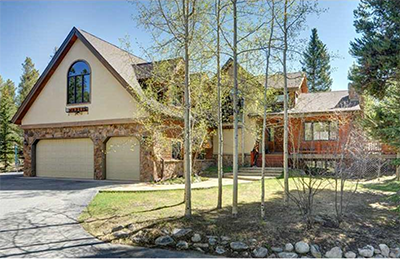 The Breckenridge Equestrian Center is located on the eastern edge of the neighborhood, and just beyond it are backcountry trails and open space, and French Creek Road, which intersects with several spur trails and eventually climbs the shoulder between Mount Guyot and Baldy. Size (square foot living area): 672 sq. ft. to 8244 sq. ft. Amenities: walking distance to Main St, on the free shuttle to the ski area, and close to hiking, biking and crosscountry ski trails. Weisshorn is adjacent to the historic district on the east side of downtown Breckenridge. 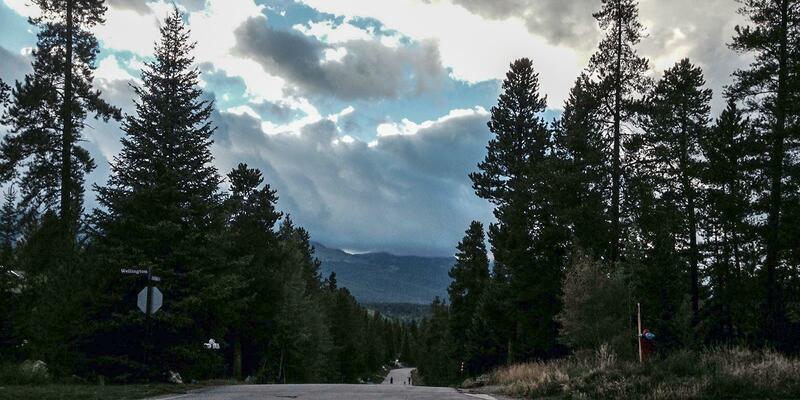 From the traffic circle on the north side of Breckenridge, take the exit to Main Street, and continue south. Turn east (left) on Wellington to reach the Weisshorn neighborhood. We just love the homes for sale in the Weisshorn community and are happy to chat with you about your real estate opportunities there. Contact us online or give us a call at (970) 453-2200, today!